This artwork is created by the artist Christo and photographed by Shunk-Kender. The subject Wrapped Coast is part of the project ''One Million Square Feet, Little Bay, Sydney, Australia 1968-69'' and included one million square feet (92,900 square meters) of fabric and 35 miles (56.3 kilometers) of rope shrouding a 1.5 mile (2.4 kilometer) long section of the Australian coastline. Poster hand-signed and numbered in original by the artist Christo, photographed by Wolfgang Volz. Limited edition in 300 works. Christo is a Bulgarian-American artist. He was born in 1935 in Gabrovo. 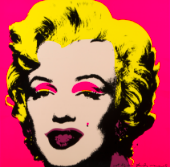 In Bulgaria he began studying art at the National Academy of Art in Sofia in which his mother was the secretary. He perfected his education first in Prague, and in 1957 he attended the Academy of Fine Arts in Vienna. 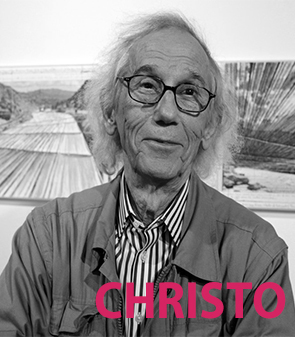 His arrival in Paris in 1958, however, was not of the easiest, because Christo was considered a stateless person, in fact, he was ghettoized and earned his bread by making portraitist on the road. Only later Christo started working on the Land Art with the project “Packages and Wrapped Objects”, in artistic collaboration with the future life partner Jeanne-Claude. The packaging of everyday objects like bottles and tables also affected artists as Arman and Yves Klein, friends of Christo, with whom, in the decade 1960-1970, created the artistic movement "New Realism". In 1970 he worked in Milan and bunded the Monument to Vittorio Emanuele II in Piazza Duomo, and the Monument to Leonardo da Vinci in Piazza della Scala, using polyethylene and rope. The performance lasted two days and had the purpose to change the space and objects. The Land Art, in fact, aims to pass over the limits of traditional painting and sculpture, leading to reflection on the art system itself. Territoriality is upseted by the use of artificial materials such as synthetic fabrics, playing with natural landscapes and artificial elements. The major influences in the masterpieces of Christo can be found in the thought and work of Man Ray and Joseph Beuys. Working all over the world, from Europe, to USA, to United Arab Emirates, Christo thinks about specific projects according to the place in which he will operate. His last work of Land Art was building a floating bridge in Iseo Lake, linking the mainland to Monte Isola. This work modified, for the first time in the history of this area, the possibility of access to this island and its connection to the outside. From June 17th to July 3rd 2016 a lot of visitors went on this floating bridge for 3 km, participating directly in the realization of this Earth Work.